Quebecers living by the Canada-United States border where thousands of migrants have crossed irregularly into the country since 2017 will be eligible for payments of up to $25,000, the federal government….Life along the previously sleepy Roxham Road — the main entry point for migrants entering the country on foot — has been disturbed, and residents deserve to be compensated, Border Security Minister Bill Blair said. Trudeau has a history of extravagance. 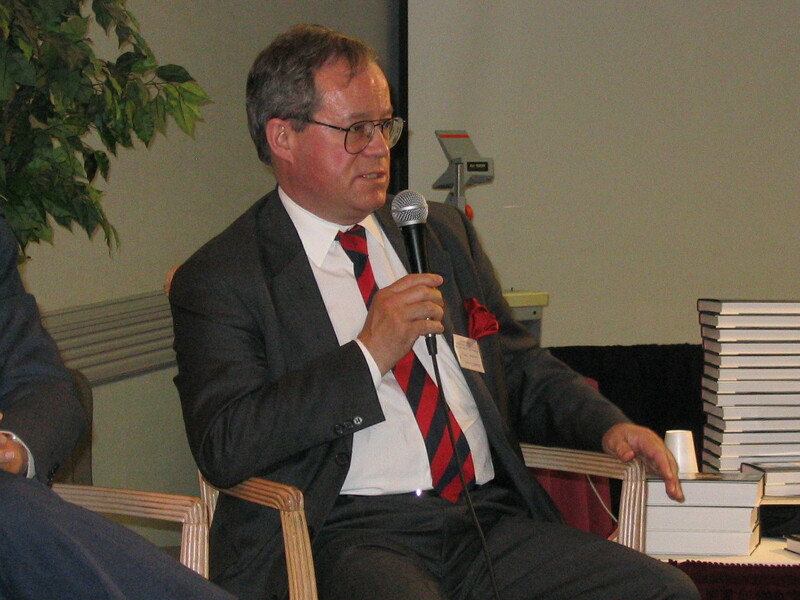 He has tried to buy the media with a 600-million-dollar bailout package that has been described by many as “headline buying” or “media management.” Now he’s trying to pacify residents or border areas whose lives have been disrupted by the migrant crossings that should have been stopped immediately after they began. Canadians can expect to dole out much more money, particularly in the upcoming election year, and given the unpopular UN Migration Pact. The simplest questions about the Pact, which is claimed to be non-binding, must be asked: why is such a Pact even needed? Has Canada now fully subscribed to the globalist vision of open borders? 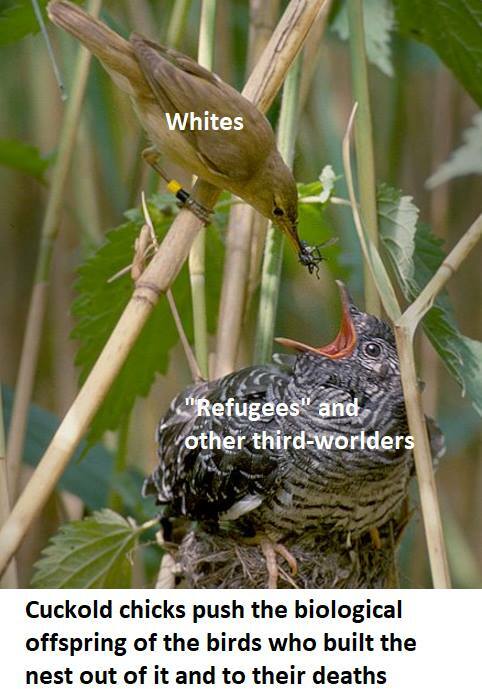 Who is footing the bill for the migrant influx and the integration and assimilation of the migrants? Canada is already at a four-decade low in its employment rate, and it’s are likely only to get worse. OTTAWA — Quebecers living by the Canada-United States border where thousands of migrants have crossed irregularly into the country since 2017 will be eligible for payments of up to $25,000, the federal government announced Wednesday. Life along the previously sleepy Roxham Road — the main entry point for migrants entering the country on foot — has been disturbed, and residents deserve to be compensated, Border Security Minister Bill Blair said. “I’ve been there. I’ve spoken to the residents. 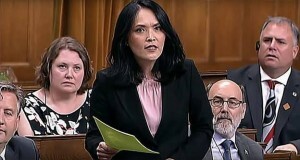 I’ve seen the level of activity of the RCMP, the (Canada Border Services Agency) and other officials that has impacted what is otherwise a quiet, rural road,” Blair told reporters. Roughly 96 per cent of all migrants who have crossed illegally into Canada since 2017 have done so at Roxham Road. The federal Immigration Department says 16,000 people crossed the Canada-U.S. border illegally into Quebec through the end of October this year, and about 19,000 did last year. No picture has so incensed Canadians or demonstrated the utter impotence, or worse, of our gatekeepers than pictures of Mounties acting as glorified bellhops, carrying posh looking suitcases for illegals crossing over the New York State-Quebec border, having avoided the normal check point. Instead of pushing these illegals back or blocking their way, the RCMP were assisting them to enter Canada. Some thought this was a little like finding out that police had driven the getaway car after a bank holdup. The present government has lost control of our border with the U.S. In 2017, 18,149 people crossed illegally into Canada most from New York State to Quebec at Roxham Road and a much smaller number across the Manitoba border from North Dakota. As soon as these illegals are accepted as “refugee” claimants, they qualify for welfare, housing, medical and legal aid and schooling. Homeless shelters in Montreal and Toronto are full. The searing injustice is, despite their first act is Canada is to disrespect our laws by the illegal entry, they immediately impose severe financial burdens on Canadian taxpayers. Wher else can you break into someone’s home and be guaranteed to be fed and sheltered and medicated? The Safe Third Country Agreement was a reasonable attempt to handle some of the unreasonable burdens imposed on Canada by the disastrous 1985 Singh Decision which granted people showing up and claiming “refugee” status all the rights of Canadians, except the right to vote. All they needed to do was touch Canadian soil and say were the magic words “I’m a refugee” and they were guaranteed a hearing and an appeal and welfare, legal aid, government housing, medicare and dental care better than many Canadian-born welfare recipients receive! The Safe Third Country Agreement between Canada and the U.S. required a person wishing to make a refugee claim in the first country (Canada or the U.S.) he entered. He could not shop around. A person from the U.S. presenting at a “port of entry” cannot make a refugee claim and, if he wished to do so, would be turned back. The spirit of the agreement is clear. Conservative immigration critic Michelle Rempel makes a perfectly reasonable point — declare the entire border a “port of entry.” Second best would be to build a fence or wall along the area in Quebec where the illegals are crossing and back it up with troops or police to push intruders back. Hungary has effectively secured its southern border that way. The duty of an army is to secure its country’s borders. Rather than meddling in a civil war in Mali, our army should be protecting the border. Finally, to free ourselves from the ivory tower restrictions of the Singh Decision, Parliament should use the “notwithstanding” clause and stipulate that ALL would-be immigrants or refugees should apply and be vetted abroad. As long as the Canadian government fails to take border security seriously, why should foreign opportunists? 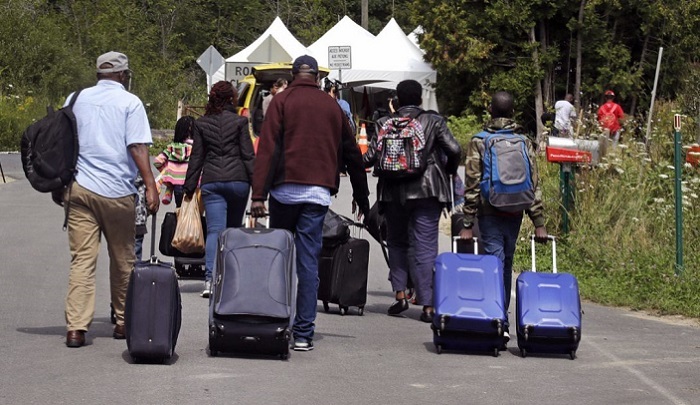 Large numbers of Nigerians are flying to the U.S. on tourist visas and making their way to the Canadian border to sneak avoid the border crossing station, sneak across the border and claim “refugee” status. It little matters that Nigeria is a democratic country. The current wait time for the backlog is 30 months. 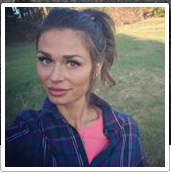 That’s 30 months living off the Canadian taxpayer. Not a bad deal! The Canada First Immigration Reform Committee is protesting today at 2:00 p.m. outside the constituency office of Immigration Minister Ahmed Hussen (99 Ingram Drive) in Toronto. We are here to protest the utter failure of this Moslem, Somali refugee, immigration lawyer to protect our borders from a stream of illegals pouring into Canada, mostly through Quebec. Over 7,000 have entered since early July putting a huge strain on housing and social welfare. When he was appointed minister earlier this year, we had our doubts but wished him well. Sadly, he has proved himself a captive of his pro-invader background and totally unable to STAND ON GUARD FOR CANADA! 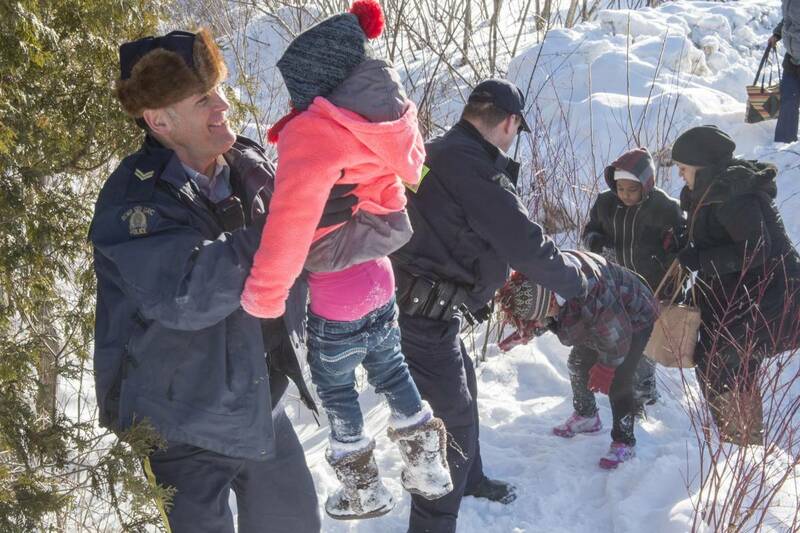 Canadians have been sickened by pictures of highly paid Mounties carrying suitcases for many well dressed Haitian illegals. They should have shoved them back across the border. Canadians have been further sickened by pictures of Canadian soldiers who should be building a fence or wall, instead erecting tents to house the invaders. Meanwhile Gen. JonathanVance, the Chief of Defence Staff of the Canadian Army prances in the Ottawa gay pride parade with Justin Trudeau while his country is invaded. The Trudeau government has shown no will to resist the invasion. A safe country treaty with the U.S. requires a would-be refugee applicant to apply in the first safe country he arrives in. 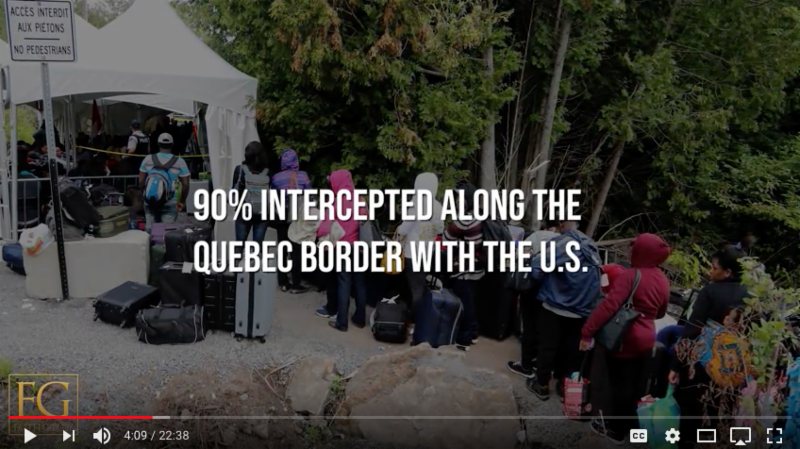 For these Haitians and others streaming across the Quebec border, that would be the U.S. 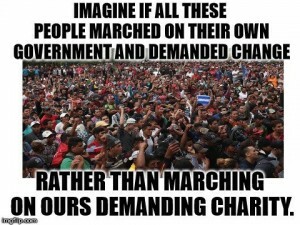 If they cross at a proper border crossing, they should be turned back. 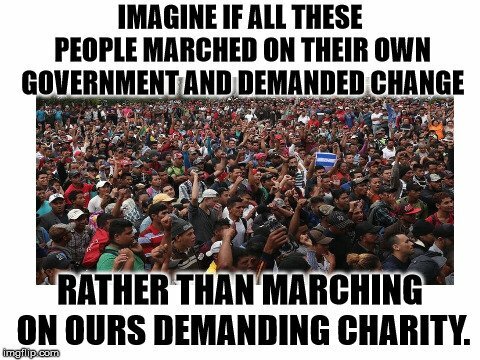 However, should they cross 100 yards away from a border crossing, against all logic, we pretend we don’t know where they come from and let them make a “refugee” claim. They are criminal illegals. They should be turned around and sent back. Ahmed Hussen, Justin Trudeau, the RCMP and the Canadian Army have utterly failed to do their duty to STAND ON GUARD for Canada and for the Canadian taxpayer. The illegals will cost the Canadian taxpayer hundreds of millions in welfare, legal aid, medicare, dental care (better than for Canadians on welfare), language and skills training and, of course, processing. Appeals can stretch their stay, even if rejected, to more than 5 years in Canada. It’s time to retake control of the borders. Deport all illegals. Build a fence or wall and turn any intruder back to the U.S.